[…] It has come to our attention that Apple is planning to combine iOS 5 and iCloud with a piece of hardware internally referred to as the iCloud iPhone. The iCloud iPhone will rely heavily on Apple’s new cloud based offering, and less on internal storage. Over the past few weeks we have chatted with a few people who are familiar with Apple’s iPhone plans. One source is the same from our June 28th report that gave us the the internal launch date of July 19th for Lion and the new MacBook Airs. We have three independent sources contributing to this report who are all connected to Apple in different capacities. The main takeaway is that Apple intends to launch two iPhone models in the fall with a full upgraded iPhone 5 as expected, as well as a cheaper iPhone which will be the iCloud iPhone. Apple is planning to hold a special event to launch the new iPhones, and the sources agreed that the iCloud iPhone will be the big takeaway from the event. One person familiar with the matter indicated that there are indeed two distinct models currently in production. The iPhone 5 is expected to align with existing rumors to be thinner, faster, and lighter similar to the upgrade for the iPad 2. The A5 chip that powers the iPad 2 will be on board as well as Qualcomm’s wireless chip allowing for GSM and CDMA to be in one model. There will be a new design that will offer small changes in response to the antenna problems of the iPhone 4 design. One source indicated that 4G LTE will not be included because the first-generation LTE baseband processor and supporting chipset would require Apple to increase the size of the printed circuit board which conflicts with the thinner and lighter mindset. The iPhone 5 will be a quality upgrade, but the star of the show will be the cheaper iCloud iPhone alternative. Apple wants to offer a lower priced iPhone while still maintaining their industry leading profit margins. According to our sources, Apple is going to do this by using less on board Flash memory which are also falling in price. When looking at the iSuppli cost breakdown of the parts of the iPhone 4, the storage accounts for 15% of the cost to build the device, and that’s true for the 3GS as well. Reducing 15% of the cost across millions of units is a substantial savings. The iCloud model will be for users who will want to use the iCloud heavily for storage, and keep a lot less on the iPhone itself. This will also help Apple make iCloud a feature by itself and reason to use the entire Apple ecosystem. Apple is aiming for a $400 final price for the iCloud iPhone as compared to the typical $600 iPhone price, which the iPhone 5 will cost. The carrier subsidization will bring the cost to consumers down to free with a 2 year contract for the iCloud iPhone with the same $199 iPhone cost for the iPhone 5. To achieve the lower cost for the iCloud iPhone, Apple will use many of the same internal parts from the iPhone 4 since they’re readily available in their supply chain already, and have gone down a bit in cost. When looking at iSuppli you can see how the same parts drop in price from the 3G to 3GS to 4. 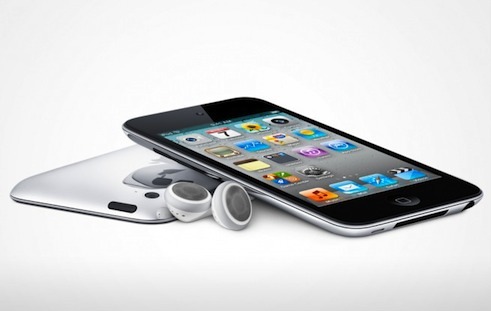 The iPhone 5 will include many new parts including processor, flash memory, and both cameras. The iCloud iPhone will be using the same internal parts from the iPhone 4, but will use a slightly different external design with an aluminum back panel similar to the iPad 2. Apple will go away from the relatively more expensive glass back panel. Also, the stainless steel band is speculated to be gone with simply a curved aluminum back, again like the iPad 2. One of our contacts is familiar with the design of the iPhone 4, and says that Apple is cutting the cost of making an iPhone 4 without sacrificing any of its qualities. The main cost cutting will come from Apple reducing on board storage, using a smoother yet cheaper aluminum back and siding, and already having a majority of the supplies on hand. The result will be a cloud based iPhone experience that is unique in the market that will be accessible to a large percentage of users because of the price point. Our source’s main point was that Apple’s iPhone line will share similarities with their MacBook line with the iCloud iPhone like the MacBook Air and the iPhone 5 as the MacBook Pro. The two different models were the main reason Apple pushed back the launch window, and are now operating under a launch period of the last week of September. The difference at first sight will be quite noticeable with the iCloud iPhone looking like a small iPad. We would like to thank the three independent people who contributed to this report, and they have asked to remain anonymous.